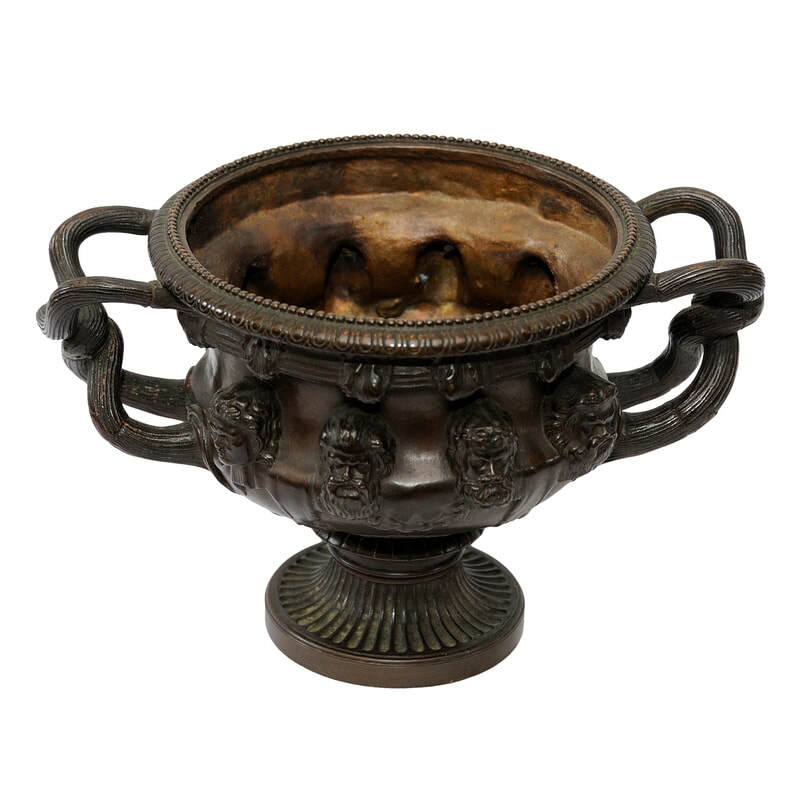 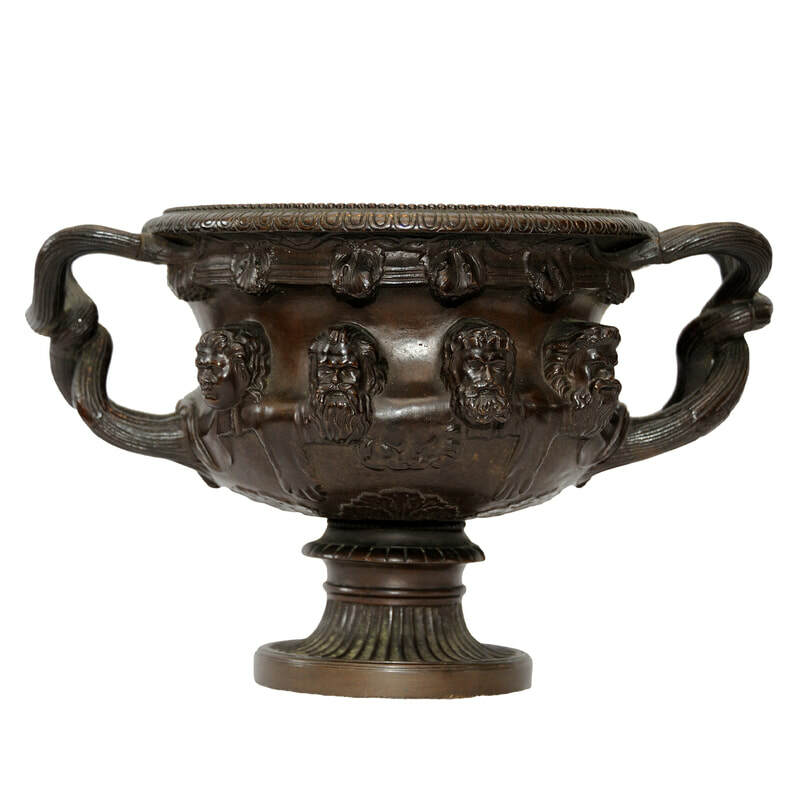 ​A French mid 19th century rendition of the famous Warwick Vase with the bronze Parisian Foundry label, Réduction Mécanique A. Collas Brevett, circa 1860. 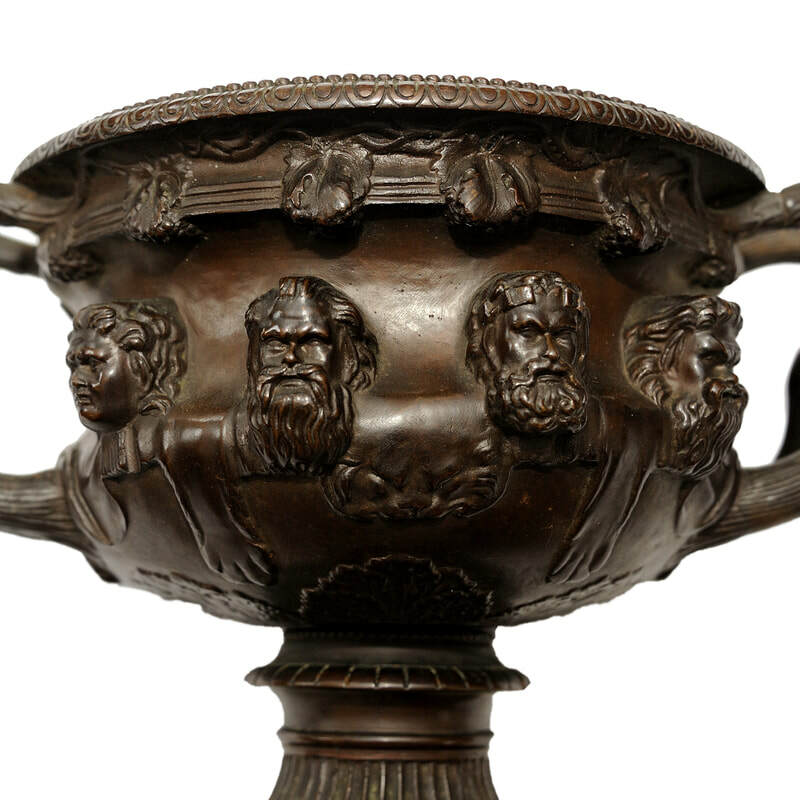 Achille Collas was an artist and aspiring inventor who invented a mechanical devise for the acurate manufacture of scaled down historical sculpted statues etc. 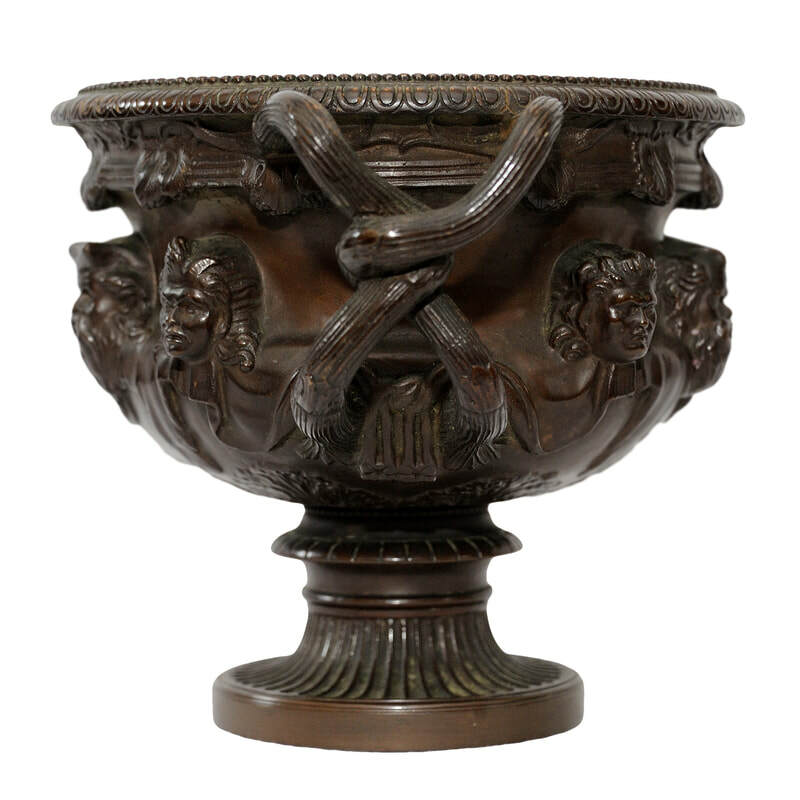 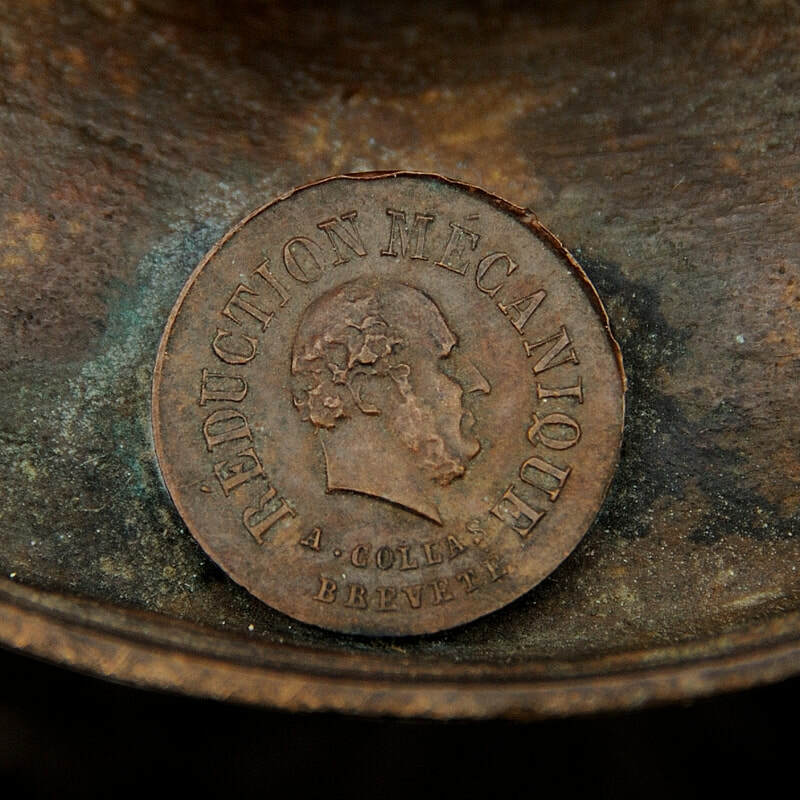 This bronze rendition was made at the Brevett Foundry.